Mark your calendars for Wednesday, September 26 to see and experience the residences’ model interiors, and become immersed in the level of service that will be offered at The Archer Residences Beacon Hill when completed in the fourth quarter of 2019. An exceptional residential development that is sleek and timeless yet steeped in craft and tradition, The Archer Residences is the result of an exceptional collaboration by leading experts at The Architectural Team, LDa Architecture & Interiors, Copley Wolff Design Group, Boston Art, Consigli Construction Company, which is taking rigorous measures to preserve The Archer’s original façade from the 1920s, and Center Court Mass. LCC. Book your private appointment or call 888-749-4805 to RSVP for the event at 20 Ashburton Place in Beacon Hill. 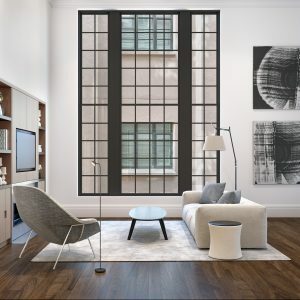 Meet the Sales Team, and view all the unique, spacious floor plans that feature tall ceilings, from 10 to 16 feet, and magnificently large windows, ranging from six to 14 feet. 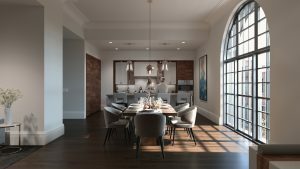 The windows welcome substantial natural light and represent some of the largest windows in Beacon Hill and the city. In addition, select modern or transitional kitchen and / or bathroom designs, test the residences’ sophisticated technology and top-of-the-line appliances, and more. The Archer Residences is one of the only full-service luxury residential communities in Beacon Hill with onsite underground valet parking, a furnished roof deck, and nearly 6,000-square-feet of contemporary amenities, which include: a fitness and wellness center, 24/7 concierge services, a club room with private dining space available for reservation, a playroom, a pet spa, and bicycle storage. Don’t miss the opportunity to reserve one of the 67 beautiful homes. 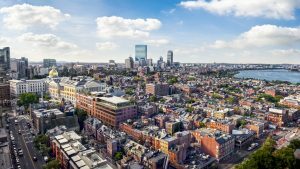 Continue to follow us on Instagram (thearcherresidences), Facebook (The Archer Residences Beacon Hill), and Twitter (@archerresidence) for scenes from in and around the neighborhood, updates on The Archer Residences, and tips for making the most of Beacon Hill living.